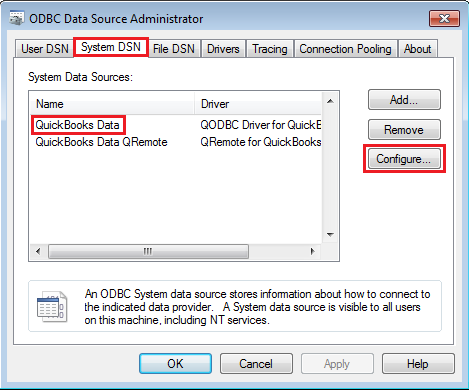 Go To "System DSN" Tab, Select "QuickBooks Data" DSN & click "Configure". Navigate to "Message" Tab & enable "Detail Tracing (Slow)" option. 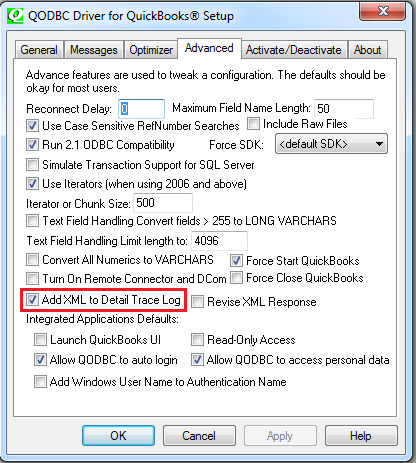 Switch to "Advanced" tab & Select "Add XML to Detail Trace Log"
Apply the changes. Close all the applications. 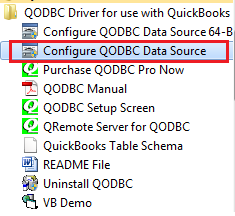 ( If any of the application is already connected, QODBC will not start logging ) Connect again. 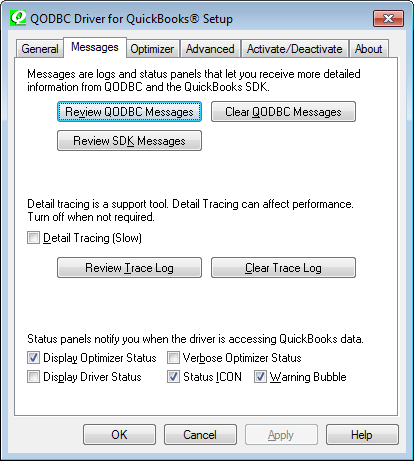 Messages allow you to review message logs from QODBC regarding errors and issues communicating with QuickBooks, clear these messages, and review messages produced by the QuickBooks qbXML SDK interface. Detail Tracing (Slow) creates a trace log of exactly what QODBC is doing in the background with the application and is used for debugging purposes. Make sure the log is turned off when not needed as these logs can use up large amounts of disk space. Display Optimizer Status Panel will display the progress of optimization of the data, this is especially helpful on large data files being reloaded in their entirety. Display Driver Status Panel when selected shows exactly what QODBC is doing when accessing the QuickBooks data and provides a good assessment of speed using optimized data and non-optimized data. 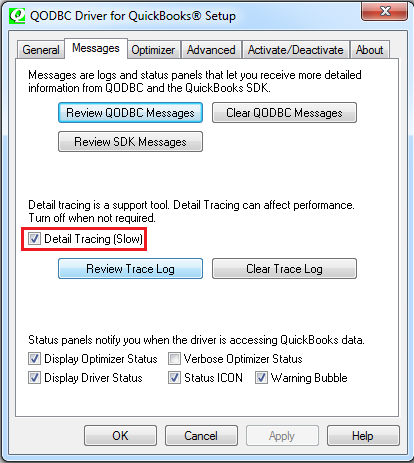 Note: Be sure to uncheck this option when you no longer need the tracing log turned on as it will grow quickly and slow QODBC performance.